Droid X & Droid 2, Coming to A Verizon Store Near You? The buzz among Android users and fans has been centered around a press event being held on June 23 in New York. That is when Verizon Wireless, Google and Motorola are expected to announce the newest Android phone, the Motorola Droid X. The Droid X features an 8 megapixel camera as well as HDMI output with 720p video. 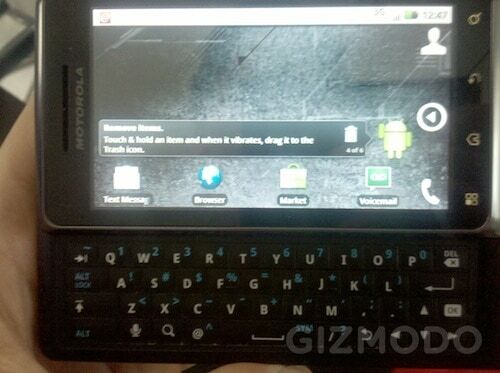 There has also been some chatter regarding the new Droid 2 which may also be unveiled. Droid 2 replaces the original Droid. One of the main changes in the new Droid 2 is a 1GHz processor. The original Droid contains a 550 MHz chip. We won't have to wait long to find out. Rumor has it that Verizon Wireless stores will be shutting down early this Sunday at 4pm. According to them, nobody under the director level knows the reason, but all associates are required to attend a mandatory meeting during this time. Anything is possible with this secretive meeting, but rest assured, something big is coming.